Comments: Comments Off on The Browns chose wisely for their OC. The Browns chose wisely for their OC. Note: The NNR podcasts are on https://fryingpansports.com/radio-show/. Yesterday the Browns introduced John DeFilippo as their new offensive coordinator. In my judgment, that was an excellent choice. He had been the QB coach of the Raiders. But what I like best about him is he brings a history of fixing broken QB mechanics. If the Browns are ever going to get anything out of their 1st round pick of Johnny Manziel, DeFilippo is going to have to do major surgery on Johnny’s mechanics and attitude. In 2012 he was named QB coach for the Raiders. He turned Terrelle Pryor from a runner to as much of an NFL QB as was possible. Pryor ended up with a 70.8 QBR in 12 and 69.1 rating in 13. Pryor’s mechanics improved dramatically in the two years he spent with DeFilippo. It is not easy to turn a spread QB with run first mentality into anything approaching an NFL QB. When Pryor went down in 2013, DeFilippo’s work with backup rookie Matt McGloin was obvious. McGloin became a serviceable QB and ended with a passer rating of 76.1. This past year DeFilippo converted another rookie spread QB, Derek Carr, into a viable NFL starter. While the team did not win many games, it was not because of Carr. Carr threw for 3,270 yards and 21 touchdowns. DeFilippo is an open minded OC that will be willing to adjust his system and terminology to match what the Browns used last year as much as possible. If he turns Johnny into a decent starter, DeFilippo deserves a metal. Note: On NNR today Samantha Bunten of NBC Sports & I reviewed the Browns Ratbirds game including major issues the Browns face going into the off season. The podcast is on https://fryingpansports.com/radio-show/. Tomorrow, Kelron Sykes College football Insider joins me to preview the NCAA playoff semi-finals. Connor Shaw played as well as could be expected overall against the Ravens Sunday. The Browns had the lead going into the 4th quarter. But again, as has happened so often before, the D wore down and the Browns lost. The Browns are in worse position than they were coming into this season in terms of finding a starting QB. Coming into the 2014 season, they had an injured Brian Hoyer and a possible future starter in first round pick Johnny Manziel. Now Hoyer is a free agent and it is very clear that Manziel is a long way from being a starter. 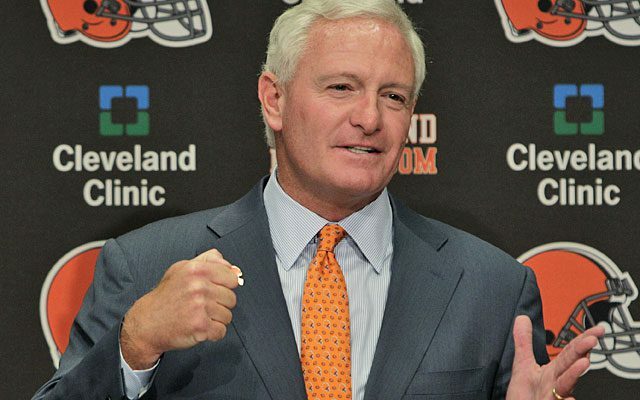 There is very little chance Hoyer resigns with the Browns. Despite the late season decline in production, he will likely get an offer from the Texans to compete for a starting job. Manziel is a head case. He admitted he was not ready to start even into the last weeks of the season. He misses rehab sessions, is friendly with blowup swans, and has every defensive player in the NFL wanting to break him in half because he doesn’t respect the game. Manziel also has a ton of work to do before he could ever be a winning QB. He needs to totally rework his throwing mechanics, footwork, knowledge of the playbook, and ability to read defenses before and after the snap. I have very little faith that he will work hard enough to accomplish any of those changes in this off season. At this point Shaw would beat out Maziel for the starting QB spot. But Shaw is at best a decent backup. He has very limited arm strength but is able to read defenses to some degree and has much better throwing mechanics. I wonder if the current staff has enough QB knowledge to fix what is wrong with Manziel. I have very little faith in QB Coach Dowell Loggains’ ability to fix Manziel. Perhaps the reason that Shaw’s mechanics are still decent is that Loggains has not taken the time with him to screw them up. There may be a chance to get a player that has some experience and is young enough to be the QB of the future. If the Titans draft a QB with their second pick overall, their 6th round pick last year Zach Mettenberger could be available for a mid round pick. He would be a major upgrade over any QB currently on the roster. I was not wrong about Russell Wilson and I doubt I am wrong about Zach. The bottom line is that the future QB of the Browns is not on the 2014 roster. Note: On NNR today Samantha Bunten of NBC Sports & I preview the Browns Ravens game including my advice picking against Week 17 point spreads. The podcast is on https://fryingpansports.com/radio-show/. For the 7th time in the last dozen years, the Browns will start their 3rd string QB in the final weeks of the season. This time it is Connor Shaw, undrafted rookie from South Carolina. He will become the 22nd QB to start a game for the Browns since the team was reborn. Shaw has an arm roughly equal to that of Brian Hoyer. It is not particularly strong. But unlike in recent games, Shaw’s mechanics are good. He is accurate in the short and medium game even against a blitz or serious pressure. He can throw long but those passes hang in the air for too long to be effective in the NFL. He has the courage to stand in against a hit and make an accurate throw. He will run if he can’t find an open receiver but is small and is not able to survive big hits. He lost the last few games at SC last year due to an injury. He can move in the pocket to avoid rushers and has good pocket awareness. He is not NFL ready and took very few snaps under center. His pre-snap reads were made by coaches on the sideline. He also does not show much ability to anticipate receivers coming open. The SC offense was based on the QB working half the field with a couple of simple predetermined reads. He has little experience in reading defenses particularly complex defenses that combine man and zone concepts. He has some background in read option and that will likely be a part of the Browns offense with Shaw. But the O line will have to make a better effort to block it if the read option is going to work. A big question is what will we see when the Browns take the field against the Ravens? 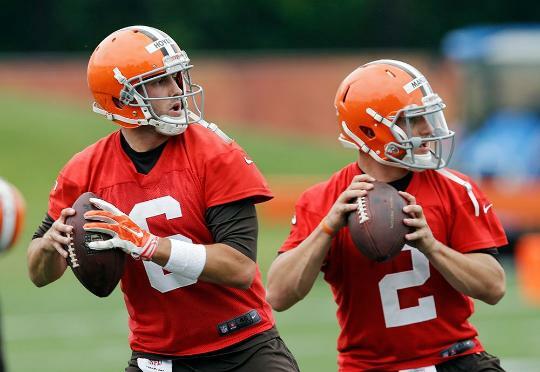 Perhaps a bigger question is what happens if Shaw moves the ball better than Johnny Manziel? It is quite likely that Shaw will play better than Manziel because his mechanics are better. The most likely result of Shaw looking better will be more questions about the 2014 Browns draft. Given the play of both 1st round picks in 14, those questions will only add to the pile that already exists. Comments: Comments Off on OC Shanahan didn’t do Johnny any favors. OC Shanahan didn’t do Johnny any favors. Note: On NNR today Samantha Bunten of NBC Sports & I discussed the Browns Bengals game, Johnny Manziel’s play and the coaches that may be on the hot seat. The podcast is on https://fryingpansports.com/radio-show/. Something that missed nearly everyone’s notice was how much the Johnny Manziel offense by Kyle Shanahan looked very much like the offense that he and his father put in for Robert Griffin. In fact, the read option was something that Manziel never used in Texas A&M. There was a rumor that the Wednesday installation practice went terribly wrong. If practice went that badly, what would make the coaching staff have any confidence that the game would go better? The answer is they knew that Johnny was doomed to fail. I have to begin to wonder if Kyle is in over his head without the loving embrace of his father as his boss. In Cleveland Kyle is on his own. He used the RG3 offense because he couldn’t design an O that would fit Johnny. It was ugly beyond words. But it was only one bad game. It is far too soon to decide if Johnny Manziel can play or not. The next two games will give the coaches and GM a better view of his abilities. If he looks better in those games, fine. But regardless the Browns should try to sign Brian Hoyer to a contract between a low end starter and back up money. He won’t get many offers due to the last several games performances. So he may be interested. 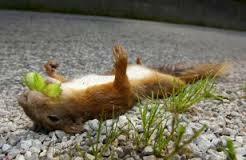 Comments: Comments Off on Brownie has fallen and he can’t get up. Brownie has fallen and he can’t get up. Samantha Bunten of NBC Sports & I discussed the Browns Bills game, the possible change at QB and the other games of the week. The podcast is on https://fryingpansports.com/radio-show/. The biggest issue facing the Browns is which QB to start. Yesterday I suggested that they should start Johnny Manziel in my editorial “It is time for the Browns to change QBs” right here on https://fryingpansports.com/. Without a true test of what Manziel can do, the Browns will go into 2015 trusting the season to him. Given the poor performance of Brian Hoyer over the last 3 weeks, the team has little choice. Manziel may give the Browns the best chance to win. Regardless, the team is not going anywhere in the playoffs even if they get in. Hoyer is not going to sign a low ball deal with the Browns unless he is guaranteed the starting job. The Browns can not afford to do that. As a result Hoyer is likely to leave. The team risks all of the 2015 season unless they give the rest of the season to him. The Browns face 2 division foes including the Ravens game on the road and two other good defenses. While a 4 game test is not optimum it will give them a decent view of how Manziel performs in real games. It isn’t much but it is better than nothing. And nothing is what the Browns will go into the 2015 draft without watching Manziel in real games.